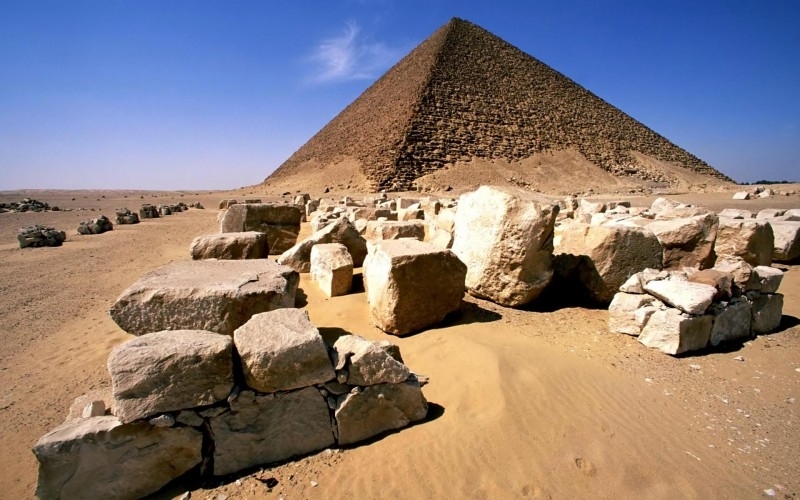 The Red Pyramid was another project of the 4th Dynasty pharaoh Sneferu. After the completion of the Bent Pyramid, which also stand nearby in the Necropolis at Dahshur, Sneferu set out to correct the mistakes that were made in the construction of his that pyramid and the one at Meidum that collapsed during construction. 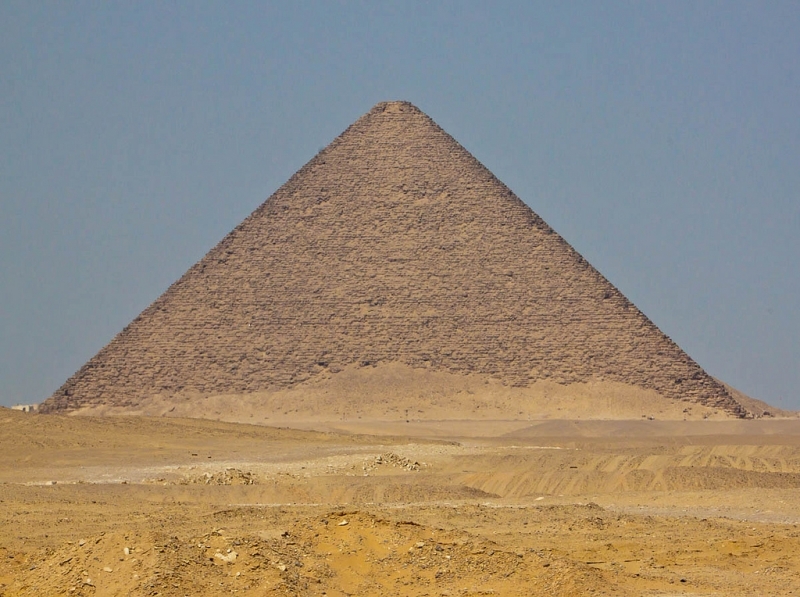 The Red Pyramid, finished sometime at the beginning of the 26th century BC, was to be first successful attempt to construct a true pyramid, making it the most direct inspiration for the later 4th Dynasty pyramids at Giza. 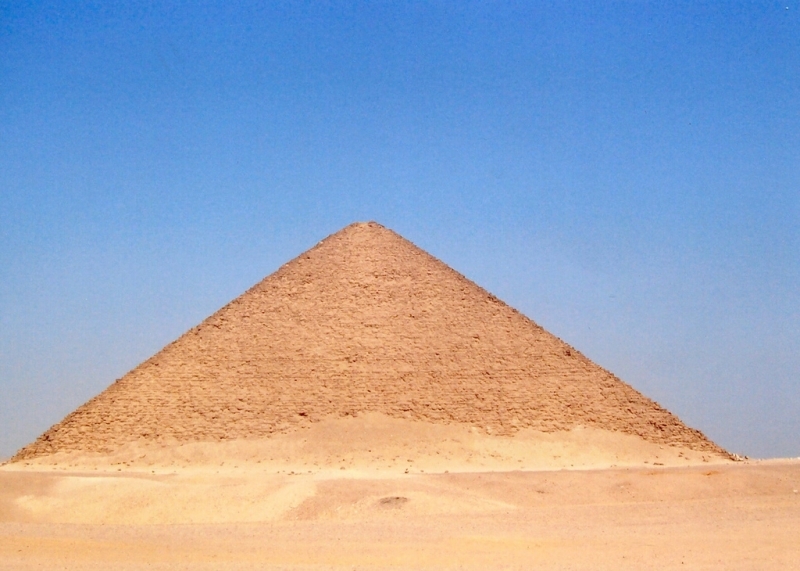 The squat appearance of this pyramid in comparison to other pyramids of comparable size is due to the fact that its sides are included at the relatively shallow angle of 43 degrees. 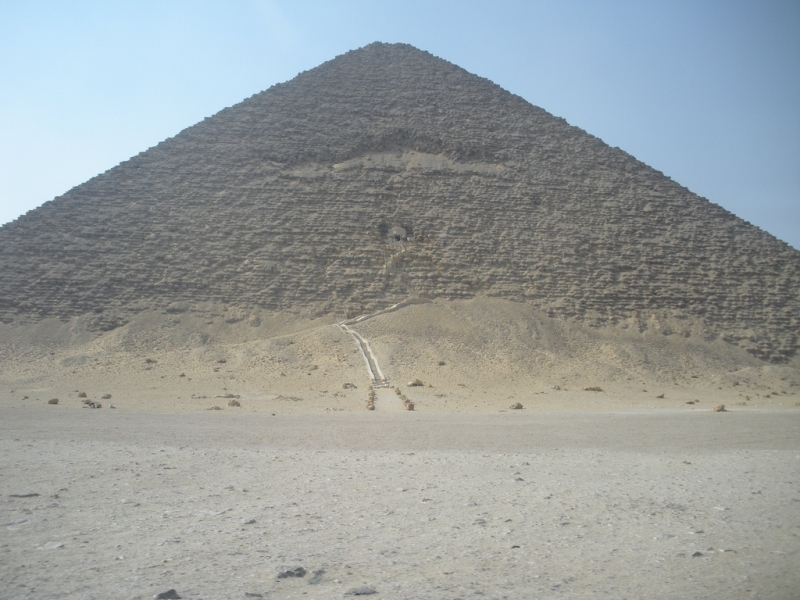 After the engineering mistake that led to the ‘bend’ in the Bent Pyramid, Sneferu’s builders presumably decided to build this pyramid using the same angle of inclination that had allowed for the completion of the Bent Pyramid. 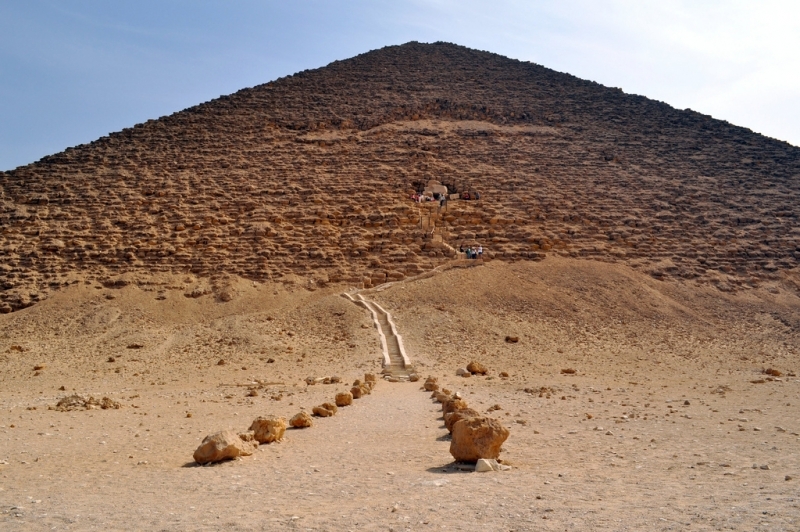 The Red Pyramid 341 feet tall.